Wondering what Lions have done near you? Here are a few highlights. A gift from the Agincourt Lions Club made the Agincourt Recreation Centre possible. 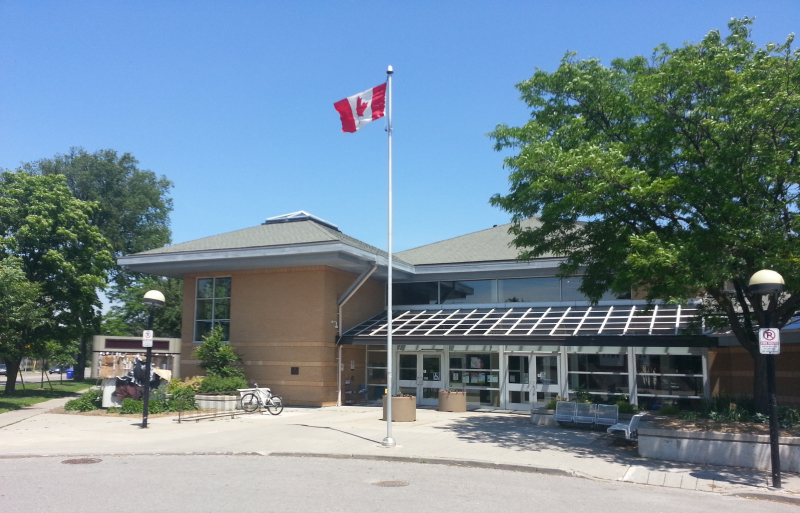 The Agincourt facilities let people swim, skate, dance, play hockey, and conduct other meetings and sessions. One room upstairs is reserved for use by Lions. The Scarborough Central Lions Club gifted property to the city so that the Birchmount Community Centre could be built. The two-storey building (at the bottom in the photo below) houses a large indoor pool and general purpose rooms. And work continues. 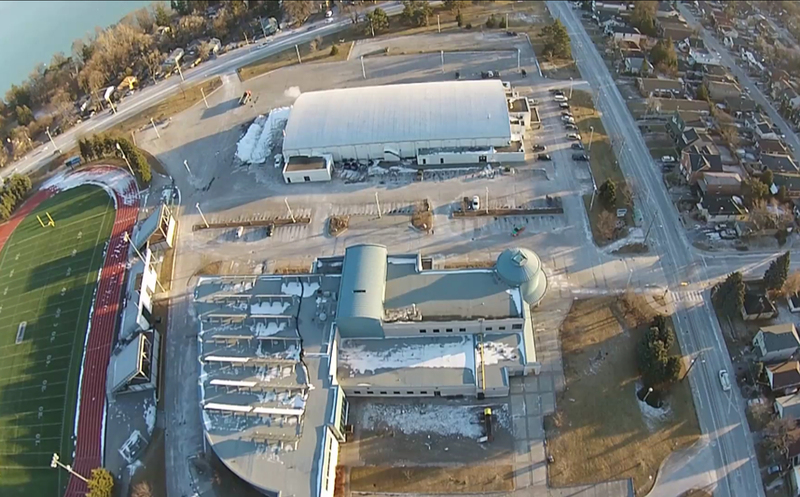 The City of Toronto is adding a new double gym, improving the pool viewing area, and adding a new multi-purpose room. The 2nd floor room atop the round tower at the building’s east end continues to house the Scarborough Central Lions Club. The Burlington Lions Hall is an attractive feature near the Burlington lakefront. The hall is available to rent. Lions and other community groups use the space. The Burlington Lions Club, chartered in 1925, continues good work as they approach their second century of service. 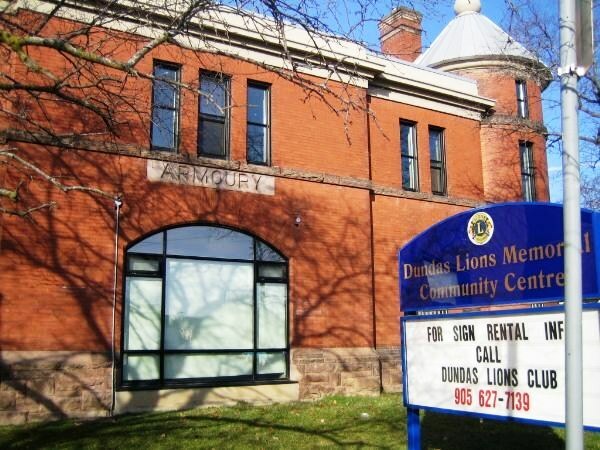 Once an armory, the Dundas Lions Memorial Community Centre now offers programming in various sports. The Dundas Lions Club stays active with lots of fun activities. Freelton Lions were part of a team that turned an old one-room schoolhouse into a retirement villa. Just opened in 2016! 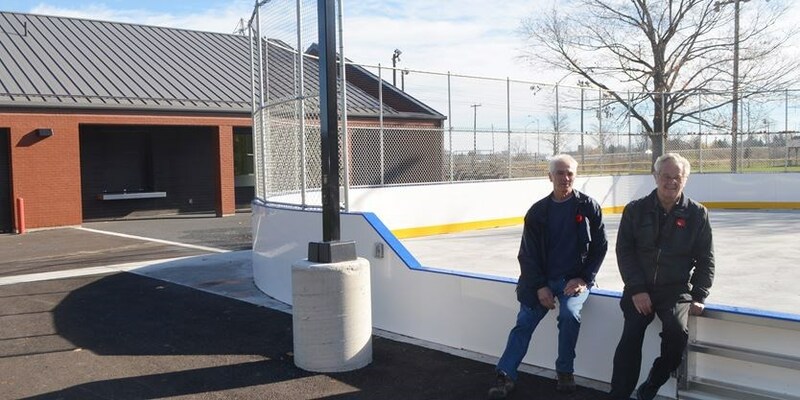 The Freelton Lions Club opened an outdoor ice pad just down the road from their villa. The West Hill Lions Club received its charter in 1944. In its early days, it acquired land at the corner of Lawrence Avenue East and Manse Road. Lions were instrumental in building the community centre that once stood there. 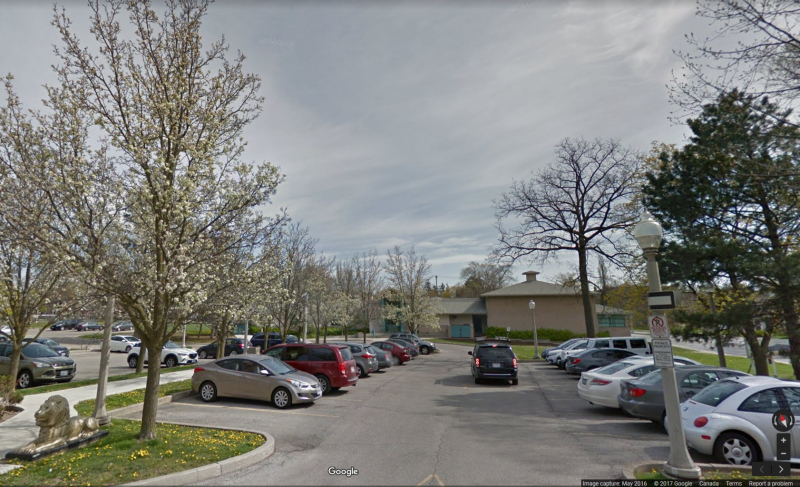 Years later, the West Hill – Highland Creek Lions Club turned over the property to the City of Toronto so that a bigger, better community centre could be built. Today, the Heron Park Community Centre has a baseball diamond, outdoor swimming pool. The new community centre houses two hockey rinks, a gym, and general purpose space. The West Hill – Highland Creek Lions Club still meets there. The 7.4 hectare Weston Lions Park features two ball diamonds, a skateboard park, courts for basketball and tennis, and more. 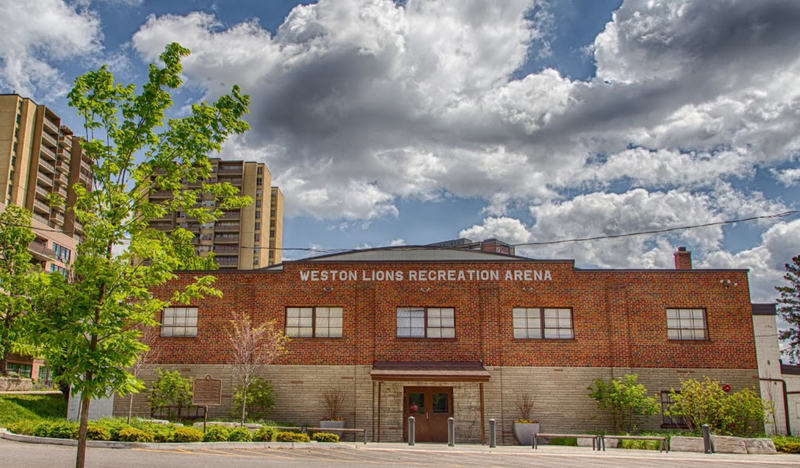 The property also houses Weston Lions Arena. The Weston Lions Club remains active in operating the facilities.